The Office for the Consolidation of Unity is Iran’s largest student organization. In this open letter to Ahmadinejad, which was distributed two weeks after his controversial speech at Columbia University in September 2007, readers can find important details about the demands of Iran’s current student movement. Why We Say No to the Compulsory Hijab? 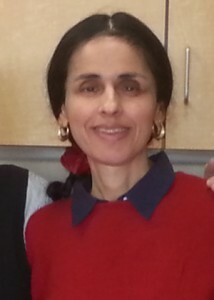 Fatemeh Sadeghi has a Ph.D. in political science and has taught at the Islamic Azad University of Karaj near Tehran. She is the daughter of Ayatollah Sadeq Khalkhali. In this courageous article, published in May 2008, she challenges the oppression of women in Iran today. Soon after the publication of this article, she was suspended from her teaching post at the University of Karaj. A number of students protested her suspension. Continue reading Why We Say No to the Compulsory Hijab? Posted on July 4, 2009 Author Frieda Afary1 Comment on Why We Say No to the Compulsory Hijab?